There's nothing like a statement mirror to add to your modern space. 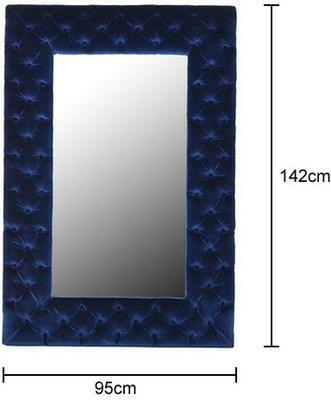 This Velvet Buttoned Wall Mirror makes for a wonderful statement piece inside your room. Handmade by skilled artisans, the mirror is fashioned from wood and glass. 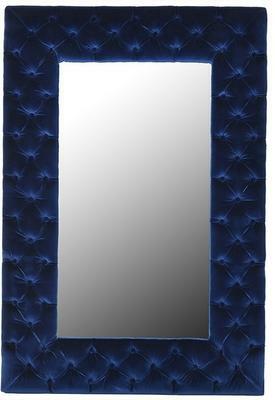 It features a rectangular shape with the frame covered in a lovely royal blue velvet. Speaking of the velvet, it's made from a combination of 90% cotton and 10% polyester. It's durable but also feels wonderful to the touch. Hang this mirror right by your hallway, in your bedroom or your living space. It's highly functional while also brilliantly stylish.